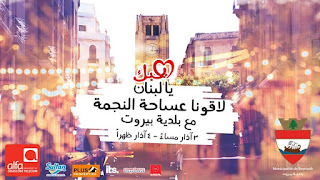 So apparently everyone so worked up trying to revive Nejmeh Square which for a very long time was barricaded and the entry to which was anywhere from unpleasant to downright impossible (considering the parliament building is there). Nejmeh and the surrounding area are official ghost towns - the real estate prices tanked in the area. A small glance at the unofficial sale prices of the offices and buildings there will lead you to understand what I am saying. No wonder Plus Properties are sponsoring the even above - more on which later - in a bid to boost their investments knowing that a long time back the head of Plus Properties did say that the price per square meter will reach 12,000 USD in the area but now is asking for government bailout - I am not inventing this, I got this from articles on the net! 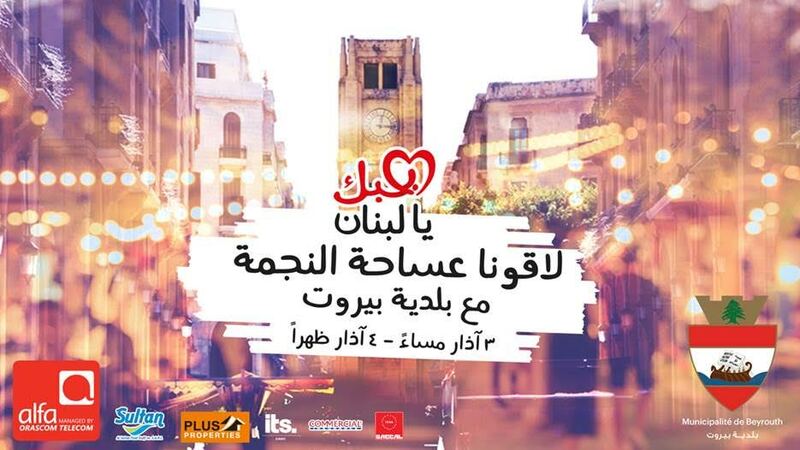 With this in mind, Bhebak ya Lebnen (a famous Fairouz song which means "I love you Lebanon") is an event taking place on March 3rd starting 6 P.M. and March 4th starting noon with the usually plethora of entertainment, music, food stations, live performances and surprises. I do appreciate the effort to revive the area, but I feel it is too little too late to be honest.